A bright and bold valentine's card which can be personalised with your choice of text on the front. 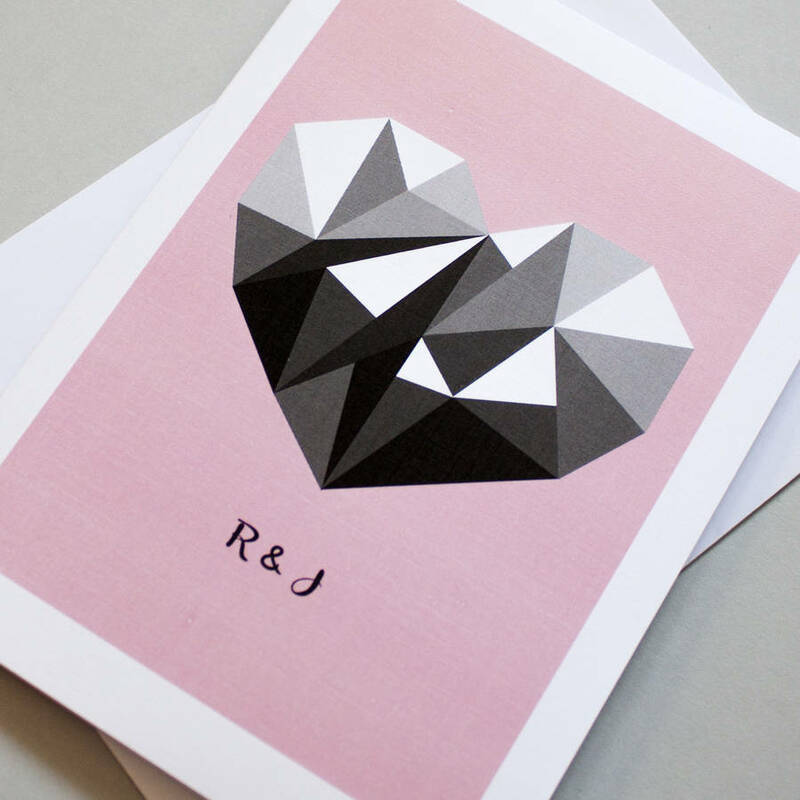 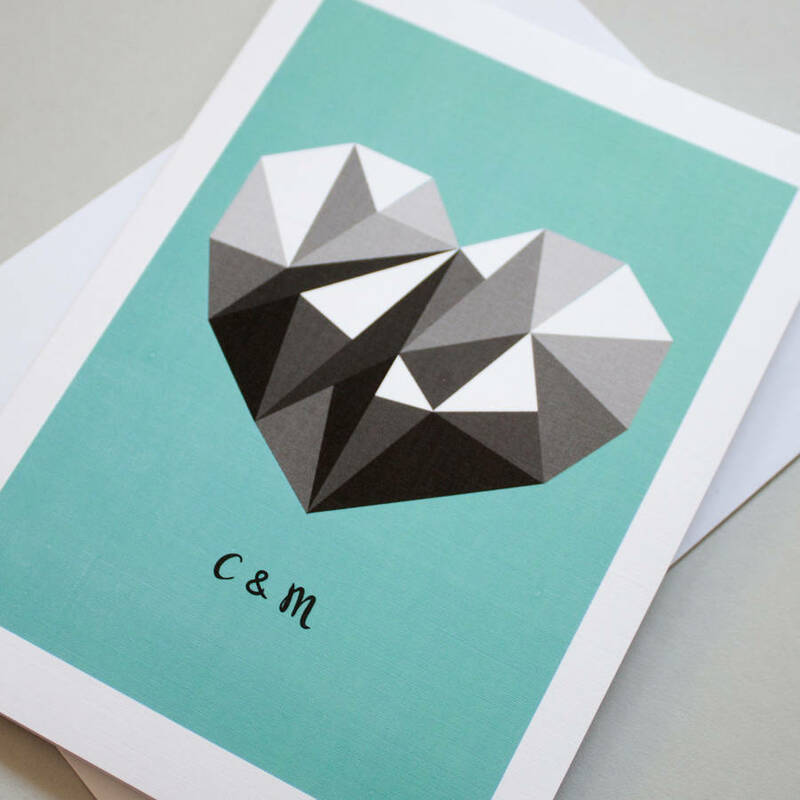 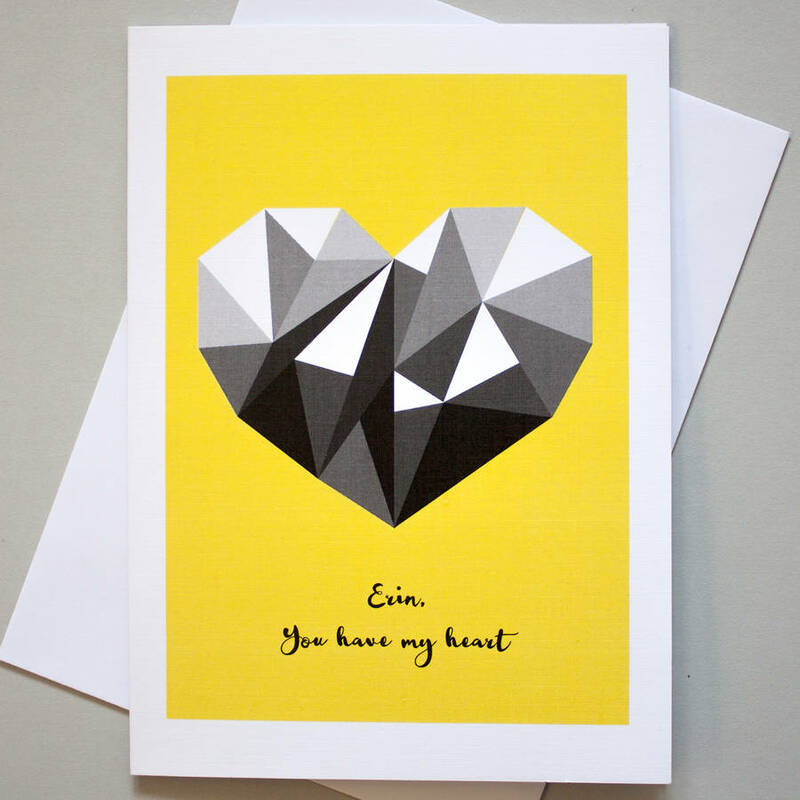 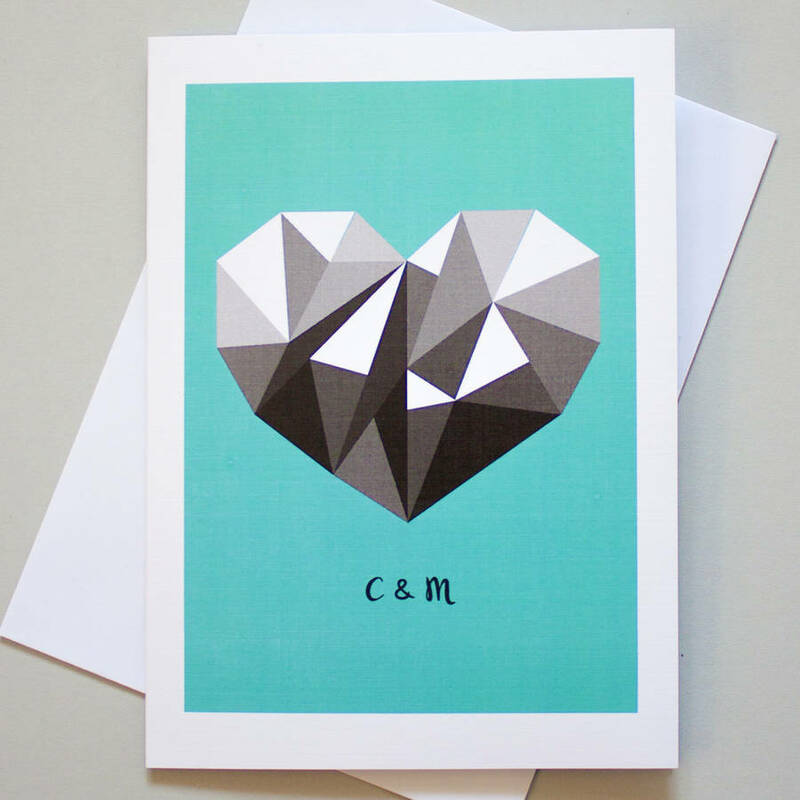 Wish your loved ones a happy Valentine's with this modern style card featuring an original design by Ink Pudding of a geometric monochrome heart on a bright background and your own choice of words on the front. 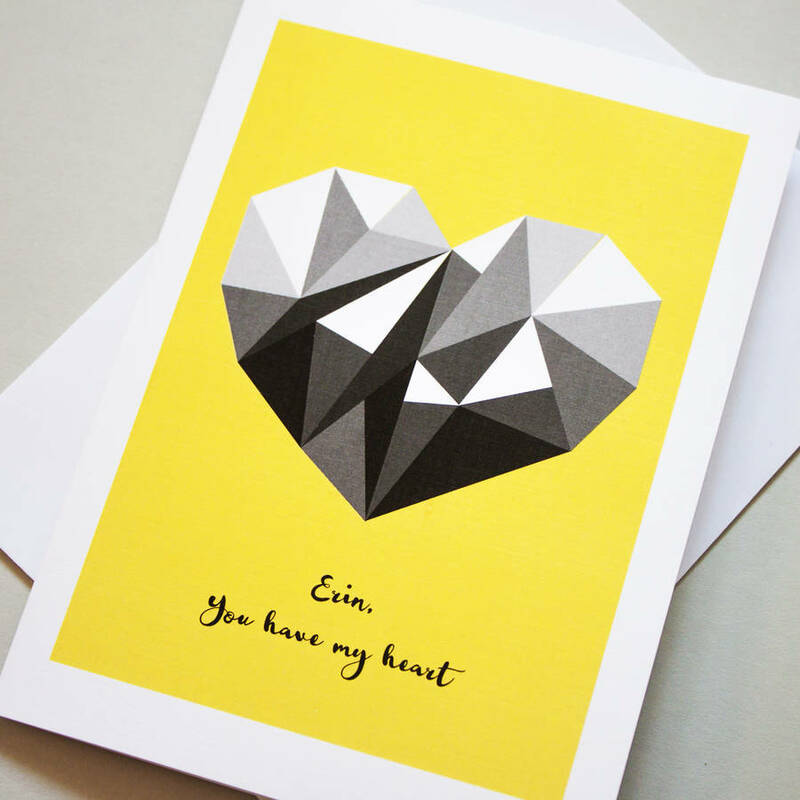 Available in yellow, blue or light pink.